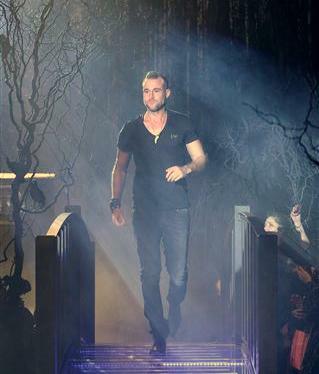 Philipp Plein surprised once again! During the fashion week in Milan, he has presented the collection Autumn /Winter 2013-14 using as a scenario, an enchanted forest with lots of trees and black crows, set in the heart of a theater in Milan. Special guest of the show was the singer Grace Jones, who has performed in a musical performance immediately after the parade. The woman by Philipp Plein is always distinguished for being feminine but at the same time aggressive. The fur along the leather are the stars of this collection, in which there are also woolen bouclé or jacquard frames, dresses that pay homage to Chinese culture, studs, chains, rhinestones and leather jackets, the last elements which are much loved by the German designer. Philipp Plein ha sorpreso anche stavolta! 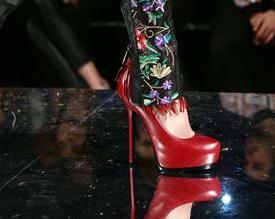 Durante la fashion week milanese, ha infatti presentato la collezione Autunnno/Inverno 2013-14 utilizzando come scenario, una foresta incantata con tanto di alberi e corvi neri, allestito nel pieno centro di un teatro a Milano. Ospite d'eccezione dello show è stata la cantante Grace Jones, che si è esibita in una performance musicale subito dopo la sfilata. La donna di Philipp Plein si contraddistingue da sempre per il suo essere femminile ma al tempo stesso grintosa. La pelliccia insieme alla pelle sono i protagonisti di questa collezione, nella quale non mancano capi in lana bouclè o con intelaiature jacquard, abiti che omaggiano la cultura cinese, borchie, catene, strass e le giacche in pelle, ultimi elementi questi che sono tanto amati dal designer tedesco. perfect show! love love love those outfits! !